Ben Fitts is a well known blogger in the direct selling industry. 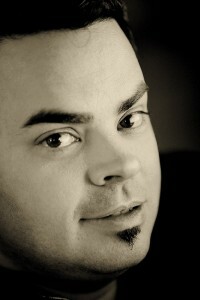 His site homebusinessblogs was ranked in ThatMLMBeat’s top 50 bloggers in both 2009 and 2010. Ben recently wrote a piece as a guest blogger for ThatMLMBeat that really caught my eye. His post was called “Why You Should NOT Use Your MLM Company’s Web Site“, naturally we are focused on direct selling companies offering higher quality tools for their distributors and this is a great place to start; with unsatified distributors. In the interview below Ben takes a closer look at what features are currently missing in replicated websites and how they can be improved. To find out more about Ben Fitts visit homebusinessblogs or follow him on Facebook and Twitter. Today I’m talking with Ben Fitts, Ben runs HomeBusinessBlogs.com, a popular destinations for network marketers and MLM training. Ben was ranked on ThatMLMBeat’s top 50 blogs of 2010, he has authored numerous eBooks and other publications on network marketing. Ben thanks for joining me this morning, would you give a quick introduction and talk about how you made your way into the network marketing industry? I was exposed to it as a kid, my Dad tried a couple MLM’s, so when I was exposed to it later on in college it made sense to me. But being in college, being a tech geek I thought I was going to work in the dot com era, I thought I was going to be a dot com millionaire. I started my own Internet provider, I did a whole bunch of things related to that, and I kept getting laid off. I was a model employee working 60-80 hour weeks, and even during deadline I would sleep at the office so much that they bought me one of those AeroBed air mattresses to sleep on the floor at the office, and my boss would sleep on the couch. He and I would work over night, sleep for a couple hours and get up and work the next day. Needless to say I was a newlywed and that didn’t go over real well with my wife. So what ended up happening was the dot com bubble burst, they laid off everybody and so I thought about MLM again, I thought about those little checks that I made before, I knew it could work if I put my mind to it and so I went looking for something better. I was able to do it for a few years part time, and then I was able to leave my job and this is what I do now full time, right here in my home office. The first time you showed up on my radar was a post you wrote as a guest blogger on ThatMLMBeat entitled “Why You Shouldn’t Use Your Company’s Web Site”. You obviously have a background in Internet marketing and obviously a tech background, so this seems to go against what most people think you would stand behind. Was there a specific event that inspired you to write this piece or to have these feelings about replicated websites? This was actually my first post posting at ThatMLMBeat. I’m going to be posting there on a weekly basis so I wanted to sort of give people a background for my training that is going to come later. As you guys know, if you want to get rankings in Google, you can’t use the same website that everybody else is using because Google sees that as duplicate content. Just having your name be different or your photo be different or your phone number, that’s not enough to encourage Google. So for me personally, if you were going to Google the company name that I am in, I am one of the top ranking people for my company name on the Internet. And I get a lot of leads from it and a lot of people want to know how I do it. The first thing is you can’t use your company’s generic website. People may not know this, but I could go start an MLM company today and I can go to a software vendor and they will provide the back office software that does the tracking of the down lines and the commissions and everything and they will throw in a website. That website is a boiler plate cookie cutter website, it’s also not necessarily even good at marketing. So I think it’s really important if people want to be successful on the Internet that they have their own personal site, and you may even want to start developing your own brand. I developed my own brand as well, so that way, heaven for bid you move to another company, you have been developing your brand the whole time too not just the company. So there’s tons of reasons, basically if you are going to market on the Internet you need your own website. That’s talking about SEO and how that’s valuable for search engines. The real core for me of that post you wrote was more about auto-responders or a strong call to action, what conversion is all about. So how is that effecting the current state of replicated websites? I love my company, believe me I love it, but here is what happens when you go to my company website: You get a 15 minute video, then you get a live demo, and you have to go all the way to the end of the live demo before you put in your contact information. So the good thing is that the people who have put in their contact information are very qualified, but what about the 90% of people who visit my website and they don’t put in their contact information? They don’t get all the way through the video, they don’t get all the way though the demo, the kids interrupt them, they have technical challenges on their computer. So I have no clue those people visited my website. So first you get your own website, then you start to develop the things you are talking about, the call-to-action, your own little mailing list, whether or not you are just borrowing articles that other people write and you are re-posting them, you start developing your own brand also as a expert, so people want to join you. So I’m with you 100% on that, in most of our company websites, if you go to these nutritional websites, most of them are shopping carts, but there is no way to follow up with those people if they don’t purchase. They don’t have a newsletter at all, they don’t have a auto-responder, they don’t have a way for you to build yourself up as an expert. So I agree with you that it’s a real important key to being able to follow up with your prospects over and over and over and you will get more sales obviously as a result. Referring to those 90% that maybe didn’t make it to your auto-responder or couldn’t get thought the video, maybe something like the proper analytics could solve that problem. Is that something you feel is lacking as well? Oh yeah, my company has no idea, I have no idea, there is no analytics what so ever. I don’t know how many people visited my website, where they came from, what keywords they might have used. I don’t know any of that stuff, and that also becomes really important when you start to invest money into your business. When you start to buy advertising, you really want to know, “this is exactly where these people are coming from”, so that way you can re-invest that money into ads that work and not re-invest in ads that don’t work. So without naming any names or pointing any fingers, is there something that you can recall as a replicated website or a distributor website that just really stood out in your mind as extremely problematic? I really couldn’t, I mean, most of them, let’s just put it that way. I mean honestly if you look at them, most of our companies aren’t run by Internet marketing people. I mean my company, I love them, but a lot of the staff isn’t Internet marketing focused and they might come from a more traditional network marketing where you do one-on-ones and you play the DVD and that kind of stuff, or you do big presentations, they might not be aware of some of the tricks and strategies for Internet marketing. So honestly most company websites, I mean there’s a few that are good, but they are primarily Internet based opportunities and they are run by people who know Internet marketing, and you can tell right away because they have an opt-in box to capture peoples names and an auto-responder and they have a way to track how many people are visiting your website, how many sales you are getting. But there are only a few, I would say the majority of MLM companies don’t do that, or it’s like an add-on to their existing offering, most of them don’t offer that. Keeping in mind the problems that we have talked about, walk me though what you think would be the ideal replicated website to give a new distributor as soon as they come on. The ideal website would be something they could personalize a bit, because personalization is going to be a key to getting some rankings in the search engines. It should have a way to capture the contact information of the person who comes to the site. The ideal replicated website would offer some kind of incentive, a special report or an email series, something to get them to opt-in to that list, that will improve your conversions. And then you need a way to track, you need a way to know what’s working and what’s not working. You need to train people on how to use that because most people don’t know Internet marketing. So you teach them how to market, how to market on Facebook, how to get rankings in Google and how to do article marketing or blogging or different things like that. You have got to sort of expose them to some of these concepts, that would be the ideal site I think. I agree, and I feel like a lot of distributors are coming from the older world from before they were online, and they are trying to adjust their old way of face-to-face network marketing onto the Internet and it’s not really working for them. So that kind of training is talked about a lot and making sure people know the guidelines and rules. I know that’s one thing that a lot of the companies design their replicated sites around is compliance. Would you have any advice on making sure people are using the web, using these tools, but also remaining compliant? Obviously the most important thing is to check with your company and check with what their policies and procedures are. Most companies have a compliance policy, they have a compliance officer that you can submit your website for approval to. So in terms of compliance there are a few things that are probably going to help you. So that is something you need to be careful of, when you get to my level you get to deal with compliance a lot, you get to deal with a lot of people who are kind of jealous of what you are doing so you really have to make sure you follow that compliance to a T.